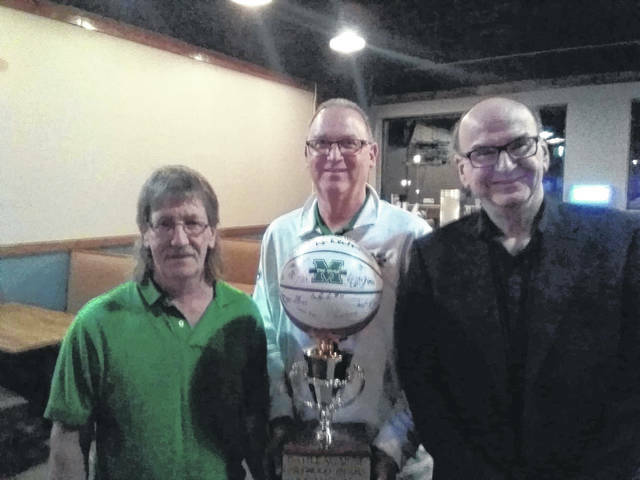 After the trophy’s presentation to the Point Black basketball team, Dave Morgan took the trophy to Mashall University’s Mason-Gallia-Meigs Big Green Chapter dinner. Pictured with Morgan are John Sutherland, executive director of the Big Green organization, and Mark Mitchell, board member of the Big Green Scholarship Foundation. 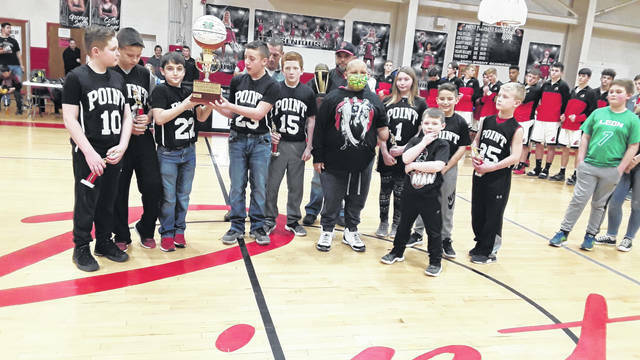 The Point Black basketball team recently received a special trophy for winning the biddy league basketball championship. The trophy had not only names of Marshall University’s basketball players, but also of two local heroes, Lewis Bryant Jr. and Holdyn Keefer.